Wow that’s a big topic; perhaps too big for us mortals to deal with. The creation stories of many cultures begin with the gods already in place. The Jewish/Christian story is one such example Geneses 1:1 “In the beginning God created the heaven and the earth.” The Greeks with their highly developed mythology explored the question of where their gods originated; Edith Hamilton in her book Mythology begins by stating: “The Greeks did not believe that the gods created the universe. It was the other way about: the universe created the gods. Before there were gods heaven and earth had been formed. They were the first parents. The Titans were their children, and the gods were their grandchildren. Yet that still leaves the mystery of how the heaven and earth were formed and who might have had a hand in that process. Every good story needs a beginning. A puzzle I used to present to my high school history students was: “What should the starting date of United State’s History be?” I would get dates as recent as 1776 and as old as 30,000 BC. Another thing to consider is that for a story to make sense we have to be able to understand it. So the story in the scriptures begins with God in place and creating the world, and there isn’t much detail about the physics of the whole exercise. Mormons believe in prophets and continuing revelation. From my study it appears that every age or so one of the main prophets gets the “Big Revelation”. They get to take a glimpse of the whole story and sometimes it can help us gain a better understanding of the eternal perspective. One of these revelations was given to Moses and is recorded in the Book of Moses found in the Pearl of Great Price. Allow me to capture the essence of the conversation as it was later revealed to Joseph Smith which is in Chapter 1. God introduces himself to Moses and tells him that he is eternal and that his works and his words are endless and that no man can behold all his works or his glory and remain in the flesh. The Lord did however show Moses this world and all the children of men which were created. After a brief interlude the vision is again opened up to Moses and Moses begins to question how all these things could be. God then gives him the short answer to the question saying that all these things were created “by the word of my power, which is his Only Begotten Son.” He then says that, “worlds without number have I created; and I also created them for mine own purpose”. Essentially telling Moses that the vision of the earth on which we dwell is all he’s going to go into and that the bigger picture is just too much for Moses to comprehend. So for our purposes all we need to consider is that God the Father exists and is eternal, that he has created the earth and the people of the earth through the power of the Son. We also know why He did it: “For behold, this is my work and my glory—to bring to pass the immortality and eternal life of man” (Moses 1:39). Of course our curious minds want to know more details and some hints are available both in the scriptures and through modern revelation, but it isn’t terribly important to our salvation, which we probably should be more focused on. We are asked to live by faith, which means trusting God before we have all the details. …as for what they speculate: that belongs on a different website. I was following the post well and suddenly you came to that cliche, “but it isn’t terribly important to our salvation.” I realise that millions of other LDS may use the same language. But what is that supposed to mean? Salvation from what? Hell fire? Because if that is all you meant then I would agree. But isn’t the statement deceptive? After all we know that it is essential to KNOW all about the Father to gain eternal life. We must come to know him and the Savior (Jn 17:3). So it could be argued that to be saved from eternal damnation of the highest type it is absolutely vital to our salvation. For how can we be a God when we don’t even know how a God thinks? It’s sort of like when Alma prefaced his sermon on faith by explaining that knowledge condemns us (Alma 32:19), then in the sermon he outlines how to obtain more knowledge (v. 34). Is knowledge good or bad? It is good if you get it in proper doses as you grow, line upon line. Doug, I’m sorry I fell into basic Christianity speak. The LDS attitude toward salvation is that the atonement is universal and will apply to all people, meaning that everyone who was born on the earth will be resurrected. If that’s what salvation means then it really doesn’t matter where God originated. But the second level of the atonement is the part that allows us to be cleansed of our sins and gain a presence with our father in heaven. Mormons call that exaltation. 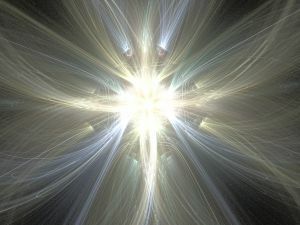 Exaltation will probably take a little longer than this earthly experience and the assumption is that we will be learning and progressing in our next state. Perhaps at that time more light and understanding will be revealed so that we can understand how the creation was accomplished and where God came from. But it seems to me that for our time on this earth we need to learn to emulate Christ who gave us a glimpse as to how the father is because he said that he didn’t do anything that he didn’t see his father do. Or as Hugh Nibley put it the big purpose for this life is to learn to repent and to forgive. I think that fills our to do list without speculating beyond what God has deemed necessary to reveal. Of course there is always personal revelation and the Lord is always willing to give us as much truth and light as we are able to bare. While I agree with your second paragraph I can’t agree with your conclusion of the first paragraph. As we come to know the Father we gain greater life right now; as we apply our understanding, particularly. Life (eternal life) comes to us from within, not from without. Lest I be misunderstood, I’m not denying at all the necessity for us to have Christ’s atonement effective in our lives. Nor do I deny the benefit of the Spirit in our relationship with the father. But the “later on” bit is deceptive because we are in the midst of eternity and all eternal laws work for or against us right now. Exaltation is achieved when we have become so much like God that we have moved into doing his style of work. This requires us to have all the information. I can, thanks to personal revelation and many hundreds of hours of the Father’s time (along with the Son) and Scripture, explain anything you wish to know about the creation or the eternal plan of happiness (i.e. where God came from – haven’t got the planet address though). This is available to all. I’m not some genius or some faultless person. Nor do I have some title before my name. DougT, you seem to be saying that it is vital to know God’s origins in order to understand ourselves and our place in the cosmos. The more we understand Him, the better our lives will become. How do you reconcile this understanding with the fact that not all things have been revealed? For instance, Moses was restricted to viewing only the affairs of this world. I don’t think saying that we’ll learn things “later” is deceptive, particularly on a website geared toward introducing newbies to the basic concepts of the gospel and the restoration. In answer to para 1. As we walk and talk with God we come to feel, more and more, his love. As he explains his feelings, in regard people and life, we come to love him more. We come to understand the depth of his love. Piece by piece we come to have some of that love rub off on us. And because we start to understand better the reasons behind what he says, we start to live the gospel more effectively. Even those things that we still don’t understand we know that he believes it and how much he is grieved when we do something else. So out of love for him (knowing the love he has for us) we do that thing that we don’t understand also. This all leads to light and life increasing within us by obedience. Once we have sufficient life we are then in the situation of having complete eternal life. In answer to para 2. The 2 reasons why God reveals himself and his work piece by piece is based on our spiritual capacity. I can walk seeing God’s spirit walking with me for hours (once you build into it). Yet to see his body requires more spirituality. So the discussion would be far smaller before I was drained. The same applies of his works. He also has to make sure that the knowledge he is giving us isn’t too far ahead of surrounding knowledge in that area. In answer to para 3. I normally don’t comment on this site for that reason. But some you have coming are looking for deeper discussion. I probably should just go back up into the ceiling with the bats and let you carry on. And while it is impossible for us to have complete knowledge of God, I agree with Doug when he quotes John, “And this is life eternal, that they might know thee the only true God, and Jesus Christ, whom thou hast sent” Not that we must gain complete knowledge of God in order to secure eternal life, but that eternal life IS that we might know Him! What a beautiful picture! That God Himself is so vast and joyous to know that we can spend eternity knowing Him! Some interesting comments. Doug I see this site as a place to set out the basic beliefs of the LDS church and I see it as a missionary tool. Jesus once said that people should be able to eat bread before they get the meat course and I am of that mind. By throwing out the theories and speculations of various members of the church in this forum, I think just causes confusion. If you want to discuss the issue further, I would be happy to do so through E-mail. Cindy: “And this is life eternal….” Does this mean that we must know God and Jesus before gaining eternal life or is knowing them what makes life eternal? I think the process is a long one. To know God the Father is particularly difficult since his role has primarily been limited to introducing his son or bearing testimony of his son. Luckily Jesus has said that he only does what he sees that the father has done. So that gives us some hope, but I think we should just try to be like Jesus and God will be pretty happy with us. However the concept that Jesus does what he has seen God do, connotates that if time is linear, then there must have been another existence previous to this one. So there are hints and if a person feels drawn to knowing these things then study and pray. If we are capable of coming to know God by becoming like Him through our imitation of Jesus so God will “be happy with us” then isn’t Jesus more a role model for us than a Savior? What of the God who says He will save His people by sending a Savior? If we can save ourselves by becoming godlike, what is the role of a Savior? You believe we are Saved by the grace of Christ and not by our works. You also believe that you have to do the work of accepting him as your Savior to be saved. So does Christ save you without any works, or do you make yourself saved by accepting him? I don’t understand how receiving the grace of Christ is a work. When I receive a gift I do not work. When I receive a paycheck it is for my work. I see grace as a gift, not a payment. How would you define receiving grace as a work…I mean, can you give me an example of what you would have to “do” to receive the grace of Christ? Here’s an analogy: when you receive a Christmas present you have to choose what to do with it. Do you rejoice and make it one of your most cherished possessions? Do you tinker with it a couple of times and then just leave it on the mantelpiece? Do you shrug your shoulders, shove it in a closet and forget about it? Do you immediately begin thinking of acquaintances you can “re-gift” it to? Do you curl your lip in disgust and throw it right in the trash? Just because grace is a gift doesn’t mean that all who receive it will accept it. Receiving a gift requires us to remove the packaging, read the manual, assemble the pieces, and put it to use. Some gifts can require a lot of us (a new puppy?). But even though unwrapping the gift is “work,” it isn’t this work that earns us the gift. We don’t earn gifts. This is what I’ve tried dozens of times to explain: the difference between working to earn and working to actively receive. Ours begins that way and continues on to repentance, baptism, confirmation, and lifelong discipleship. It means actively receiving Christlike attributes such as patience, virtue, knowledge, diligence, and charity. These all are still gifts, but they each require some unwrapping, some studying of the manual, and assembling pieces. We aren’t earning charity by unwrapping the gift-wrapped box of charity delivered by the Savior. I think Alexander and Thaddeus have answered the question for me. I get a lot out of your comments and understand what you are saying. I also had a question for Thaddeus, but am cautious about intruding on your conversation and line of thought. I’ll ask some brief questions, but I understand I’m cutting in, so please email me at [email protected] if you would rather I didn’t. Actually, I would enjoy an email from you because I would like to hear your story and wondered if you had a blog or website. I think I understand. Let me know if this is correct. Things like “patience, virtue, knowledge, diligence, and charity” is a gift (grace) and we did not earn it at all; but in order to enjoy this gift, we must open it. The way we open these gifts is through “repentance, baptism, confirmation, and lifelong discipleship?” Might I add to this list, and I think this is the main one gift Cindy is referring to: eternal life that comes by forgiveness of sins. (This is me questioning you w/ deep care and concern – please, please, don’t think I am condescending or mocking here) Questions to ask yourself; as Paul says to examine youreself… Have you been able to open this gift (forgiveness) yet? When do you suppose you will be able to open it? Perhaps when you have truly repented? Have been able to truly repent (D&C 58:43 confess and forsake)? If so, do you feel capable of retaining that repentance until the end (Mosiah 4:11,12,26)? if not, when do you suppose you will be able to truly repent? I am not trying to be a smart alec, but w/ care for you, it seems so important that you would be able to truly repent because Mosiah tells us in 4:29-30 the fate of those who sin in thought, word, and deed, and do not keep the commandments. While you are here and Cindy hasn’t answered my question perhaps you can. In Protestantism it is required of you to accept Jesus to be saved. His grace isn’t sufficient of itself. So how does this go with free Salvation? I’m also interested in your thoughts on the many Scriptures demonstrating the need to be not sinning and also obeying God’s commandments. Then there is the “I was naked and you clothed me” collection? Sorry for the delayed response. I hope you know that I approach my responses to this blog with much thoughtfulness, study and prayer, and often it takes me some time before I am able to come back…sorry. “These all are still gifts, but they each require some unwrapping, some studying of the manual, and assembling pieces.” and the focus for me is really on the word “require”. Does God require that we completely “unwrap, assemble and use” a gift fully before He deems it as received? If that is true, how do we know when that occurs? How can I know when God counts His gift of grace as having been fully received by me? Is it, as Doug suggests, when we have become perfect? Is that what Joseph means by 2 Nephi 25:23? that we can only know it is by grace that we are saved, after all we can do? After all of the unwrapping, manual reading, assembling and using? I love how Paul describes the means for receiving grace in Romans 4:4-5. “Now to him that worketh is the reward not reckoned of grace, but of debt. 5 But to him that worketh not, but believeth on him that justifieth the ungodly, his faith is counted for righteousness. ” Paul explains that to receive this gift one *must* stop working and start trusting God to justify the ungodly. Jesus described what He means by receiving when He spoke to His disciples in Mark 11, “Therefore I say unto you, What things soever ye desire , when ye pray, believe that ye receive them, and ye shall have them”. Accepting Jesus is not a work that negates the free gift of salvation. Salvation comes, as Jesus says, when we believe. The Bible does say that good works (baptism, repentance, etc) are important, but only after we have received the gift. When fully understood, good works are our natural response to the good news that we are fully forgiven of our sins. Our new-found response to do good works represents our sanctification, or our being set apart as Gods’ people. Combined with our witness of personal forgiveness as our reason for doing them our works glorify God! Well said. Your description is not lacking, but I wanted to add a few things anyhow. Are you still assured of your own sinlessness? Are you saying you never and will never look on a woman w/ “desires” (lust)? D&C 42:23 says if you do that, you will lose the Spirit and if you fail to repent you will be cast out. Why would someone need to repent if they weren’t sinning? Also, 3 Nephi 12:28 says whoever does that commits adultery. Adultery is a sin that needs to be forgiven, so is “looking on a woman w/ lust.” I think the only way you can truly believe you haven’t sinned for years is if you lower God’s standard for sin. you asked about being sinless – yes – you do have to be sinless/ righteous/ forgiven of all your sins to inherit eternal life. According to Romans 9 and 10, there are only two ways or paths to gain that status of being sinless or righteous before a holy, and perfect God. Path A: By obeying the commandments or in other words keeping the law. Path B: Not by relying on your own deeds, but by relying on the deeds of Another through faith. Depending and trusting on Someone else’s righteousness and sinlessness to cover you and count as your own righteousness and sinlessness. If you choose path A: by obedience to the laws and ordinances… then you have to live by the law (Romans 10:5); that means you have to keep the law entirely; especially if you enter into a covenant w/ God that you will strive to keep the law in order to be in good standing w/ Him. If you break only one minor part of the law, you’ve broken the whole law. (James 2:10) These aren’t my rules… it is how God has defined the rules. Tried to be as brief as possible to answer Doug’s question, and there is a ton of other verses to back it up…. but since this is a blog about Mormon beliefs, I want to get back on topic… your working (not to earn) but to receive eternal life by forgiveness of sin. With sincerity – How do you plan on becoming right before God? According to your previous post, that plan entails that forgiveness and eternal life are gifts, (not that you earn or deserve it), but you plan on working to receive it, by things like: “repentance, baptism, confirmation, and lifelong discipleship…” Has that worked for you yet? Have you been able to become righteous (free of sin) yet by following that plan? If no, then why not? Lets only pick one thing in your list- repentance. Do you cling to the hope that before the day you die, you will be able to truly repent of all your sins? To see how this approach will work in real life, try this experiment: for one week, before you go to bed, think through your day and seek God’s help to reveal in what areas you have sinned that day. Sin is transgressing the law, and not doing things you know you should have, and so many other ways to sin like in thought, word and deed that you can’t even count them all. (Mosiah 4:29-30). Pray this prayer but make it your own. Then, of course, work toward true repentance by confession and forsaking all the sins that are revealed to you. (D&C 58:43). I understand that “you do your best, and Jesus does the rest…” but you already told me that in order to claim “the rest” – the part Jesus does, you need to “open” this gift and receive it by repenting. Therefore, will you be able to open this gift? Try the experiment this week and see how it goes. I appreciate your sincere and gentle tone. Thank you for speaking from your hearts in love. I would be glad to continue all of the conversations we’re involved in; I just don’t have the time to devote to such lengthy responses. Also, I feel exhausted from debating the same issue dozens of times and never being understood. Your words have entered my heart and I have in recent days spent much time searching out more understanding in scripture and in prayer. I can see the gospel from your perspective and I’m beginning to see where my worldview stands in relation to it. Patty, I want to share one thought I’ve had recently as a result of the study I’ve been working on: you equate forgiveness of sin with eternal life. Why do you think they are the same? How long does it take to be forgiven? How long does it take to receive eternal life? Also, Alma 34:32-35 goes along w/ Alma 11:37 and D&C 1:31. According to this passage, it is so imperative that you must be prepared to meet God before you die by having truly repented of your sins first. It is so important to not put off sincere repentance while in this life because if you have put it off, the devil seals you his and this is your final state. According to D&C 25:15 How do you become righteous? How often do you have to do these things to become righteous? What happens if you don’t do those things? Look again. What does the fruit of the tree represent? Look for words that express time: begin, while, immediately, quickly, never, by and by, waiting, last day, continually, daily. I agree that eternal life requires divine forgiveness. What do you see as the distinction between the two concepts? In terms of definitions? I did my research and wrote out each search word, reread each chapter a couple times and notated each word as it occurred in Alma 32-34. I tried to find the time element and any distinctions between forgiveness and eternal life as it relates to the Alma chapters. Please forgive me and be patient, but I am at a loss of what your point is. I’m more of a “tell it like it is” kind of a person. Subtlety is lost on me. You can be bold w/ me. I’m afraid so I don’t frustrate you more w/ misunderstanding, you’ll have to lay it out and say exactly what you want me to understand. But out of respect, I will try to give you what I found. The only thing I can think of is that according to these Alma chapters, eternal life is something you wait for, and occurs after this life. There is a chance you might not get eternal life if you have not repented or performed your labors (good works) while alive. Forgiveness, however was not even mentioned in any of those chapters. The only thing left to gain understanding was the topical guide on lds.org to see if I could find out how long it takes to be forgiven. This list is not exhaustive, but it includes the time element. – Moroni 6:8; Mosiah 26:29-30 says they are forgiven as often as they repent w/ real intent and sincerity. – Mosiah 4:10 says forgiveness comes if you repent of and forsake sins w/ sincere heart. – D&C 1:32 says you are forgiven if you repent and do the commandments. – D&C 58:42-43 says if you confess and forsake your sins, You will be forgiven. – D&C 82:7 says that once you have forgiveness, it only lasts as long as you do not sin. – Mosiah 4:11,12,26 says that if you have gotten a remission of your sins, there are requirement for retaining said remission. You agree that eternal life requires Divine forgiveness. According to D&C 58:42-43 and D&C 82:7, if a Mormon fails to forsake sinning does this mean they are not forgiven?